But fundraising is so very much more than that! Fundraising, in the very largest sense, is all about making the world a better place. People who don’t understand fundraising devalue this important work. They lower it down into a base level of begging. They just don’t get that the work of fundraising – when done correctly – can be full of lovely white light. 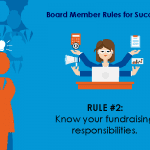 Fundraising is often a much-discussed topic on many boards. “How can we increase revenue so that we can serve more people? 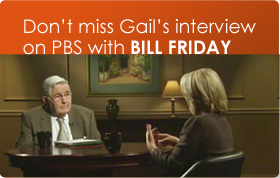 “What kind of fundraising should we be doing? “What should be my role? If you’re a dedicated, hardworking board member, you’re probably interested in doing a terrific job. 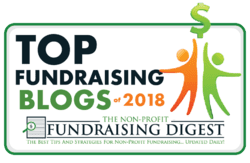 So if you want to make smart decisions about your organization’s fundraising, then you’ll want to understand how 21st century fundraising works. Today, fundraising is more than a simple transaction. That may have been last century’s view of fundraising, but it’s not how it works today. So we fundraisers work to build up overall relationships with donors so that they love us, enjoy our cause, and want to help. Then they will say yes when we ask for their support. 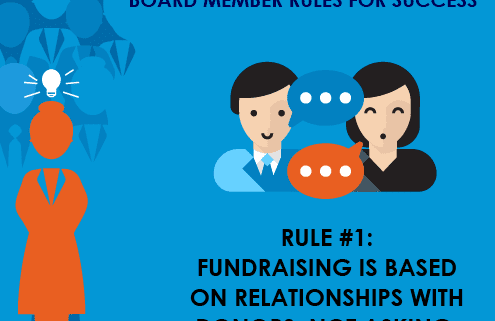 Fundraising is based on relationships with donors, not asking. And frankly, most donors already have some type of relationship with an organization before they give. “What was my experience like with this nonprofit? “Was their material interesting to me? Is it relevant? “What kind of impact do they really make? So fundraising is not simply asking for money. It’s not a one-time activity. All of our communication and engagement with donors builds up to the ask. Everything we’ve done with the donor before we ask, impacts whether they say yes. A fundraising appeal is the culmination of all our work. Your donor newsletters are really important. The thank you process after someone gives is really important. Engaging with your donors is vital if you want to develop the relationship. Fundraising is a long term proposition. Relationship- building with our donors takes time. So fundraising success is a long term proposition. Success raising money does not happen overnight. It builds and builds as your donors get to know you, and become engaged with your organization, and they keep giving. 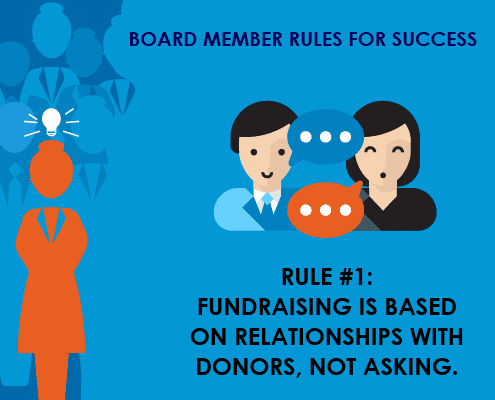 So as a board member, you really want to be focusing on building donor relationships. Because that’s how your organization can develop reliable cash flow from fundraising. Smart fundraising = reliable, sustainable cash flow. 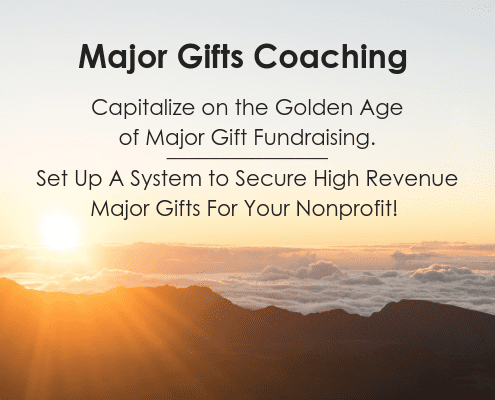 What every nonprofit is after, ideally, is a cadre of donors who will stick with you and keep giving year after year – providing a consistent, reliable stream of income to fund your organization’s work. Smart board members usually want to see their mission expand so that you can do even more good work. That means attention to the entire process of fundraising. Your number one job is to understand how 21st century fundraising works so that your organization can prosper. Your organization needs you to be at your best. And the world needs your organization to raise the funds it needs so it can help more people, and make this planet earth a better place.